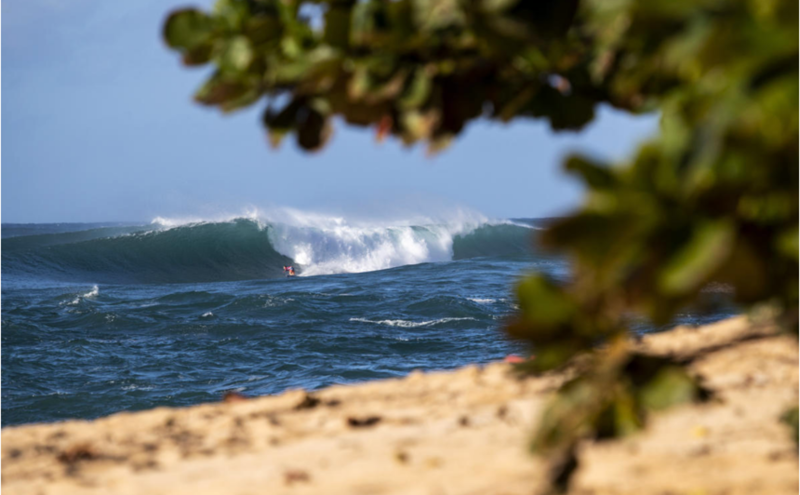 Hawaii is going berserk right now, and you’d be proud to learn that there’s a few Saffa’s putting their hands right up and proving their mettle. Grant Baker went so ham on a monstrous Peahi bomb you’d be forgiven for thinking he was trying to prison break out of Alcatraz. Maybe he thought he was, after all, who knows what chemical imbalance occurs when experiencing adrenaline spikes of that magnitude. There’s a solid contingent of young guns and seasoned hands trawling the North Shore right now, and a couple of them have already put in some substantial competitive and free surfing shifts. But this hardly surprises us here at the HQ for heavy water riding AKA the Striped Horse Challenge. We’ve seen a whole lot of manly rides throughout this event and many of them ridden by the same talented and skilfull surfers that are throwing themselves off draining ledges on the big island, right now. With one more month to go, we’re nearing the end of the SHC18, and it’s been a phenomenal experience. We’ve received a ton of high quality, big balled jaw-dropping entries and it’s going to be a tough task to call the winner once the final December round is settled. We want to think that this event plays an integral part in our vibrant surf community as a central hub for working class, amateurs and pro surfers to come together online and display their prowess in heavy water. It moves us away from the one-dimensional universe of Instagram and social media saturation and provides an opportunity to view locals going large in their backyards. Speaking of locals; without brands like Striped Horse, Bos and Hurricane, these events would be dead in the water. There’s a lot of talk around the subject of supporting your localised suppliers, and in this case, we’d urge our readers to give-back and consider stocking or at least testing the fine brands mentioned above if not as a way of saying thank you for supporting our sport then merely as a virtual “high five – love your work”. Now, back down to business. 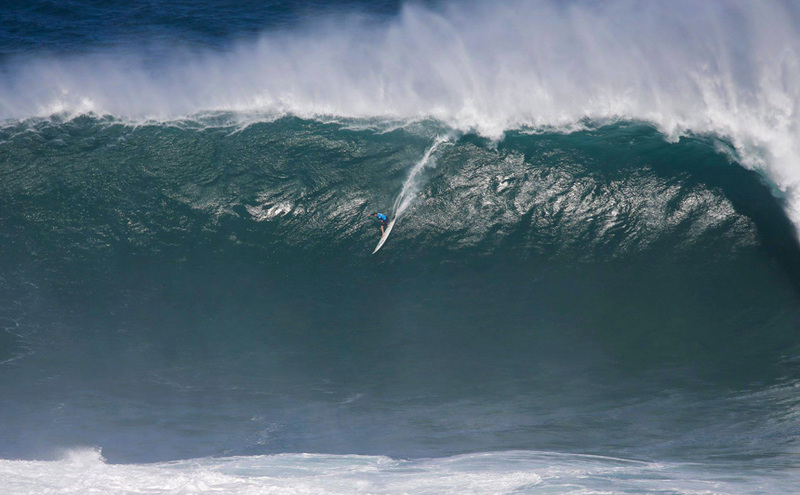 November has had three very respectable entries in the wave of the month category. Jordy Maree slid in and out of a Kalk Bay steamroller, Grant Baker submitted a land angle of an infamous and unnamed session on the Western Seaboard, and Ross Solomons cut one in for the KZN crew with a clean, green emerald dream. So what’s the call? Who takes the round and gets their shot at the grand prize? Well, that will be announced in a few days but in the meantime why not log onto www.stripedhorsechallenge.co.za and have a look for yourself. The boys have been going big and stand to win big too: 50 thousand in cash, a return ticket to HAWAII and as much Striped Horse beer, Hurricane equipment, and Bos iced tea as you can consume. PS: there’s been no entries for the beatings round… Beer, Bos and accessories plus a shot at 10 thousand bucks could be yours. Don’t say we didn’t warn you.